I want to thank you for your years of service. When I needed help with my daughter, you were there. It was obvious from the start that you loved babysitting. The first day you helped us, I was wowed by your skills. It was clear when talking with other moms that you had caught the eye of so many. You had 101 activities to do with the kids. Very seldom did you need to recharge. You never lost your patience or raised your voice. You were like a kid magnet always having a new trick up your sleeve. One of the best things, you were oh so reliable! I knew when I was in a bind that I could count on you. You were always available when I needed you and you rarely let me down. I never had to worry if you had another commitment. If I needed you for something small like being with my daughter while I put the baby down for a nap, you were there. Or if I wanted you to just keep my daughter company on long drives, you were there too. For both the big and the small, you were always there to help her…to entertain her any time we needed it. I can’t believe this day has come, but I’m going to have to let you go. Don’t get me wrong, you do the same fine job you always did, but things have changed, dear Ipad. Unintentionally, a line was crossed, things got out of balance, and a codependent relationship was established. Siri, there are some days when my daughter is just not happy unless she is with you. She throws a fit and thinks she has to be with you ALL THE TIME. As much as I loved having you, we are going to have to part ways. I wish you the best in the future. Maybe someday, we’ll be able to work together again. Thanks for being good to us, but we must move on. It will be difficult without our “Media Minder”, but we’ll both adjust. We’ll find a new way to cope when things get busy and we need a little help. It won’t be the same, but it’s for the best. 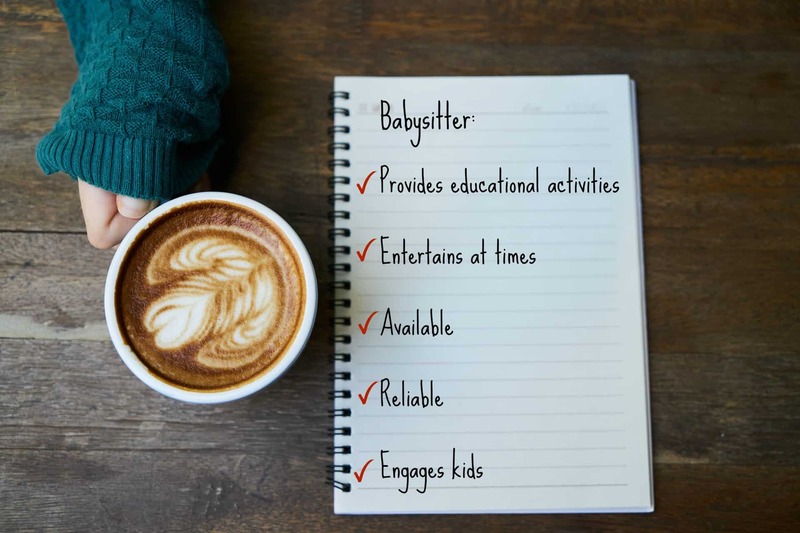 It’s a well known fact that too much media isn’t good for children, but, many parents struggle with things for their kids to do by themselves. It’s reality that parents need kids to play independently at times so that they can take care of other business like cooking dinner, paying bills, doing laundry etc. 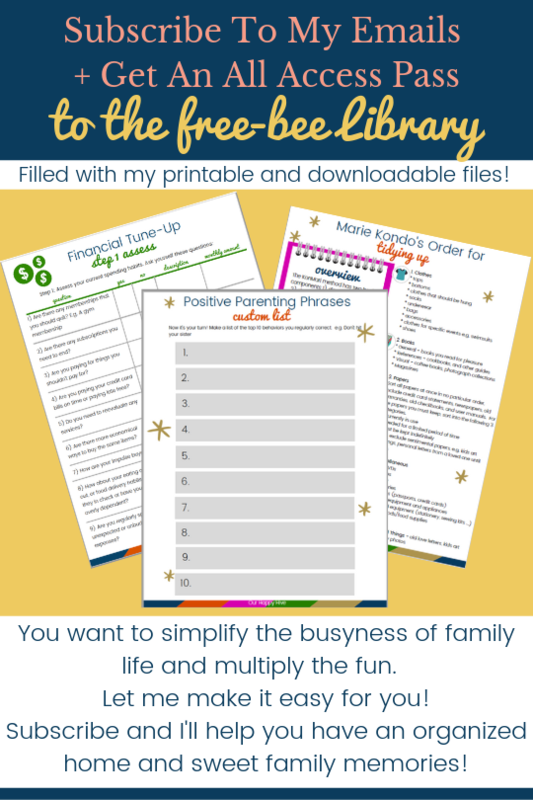 If you too have “fired your babysitter” or at a minimum are hoping to rely on her less, check out this post for ideas that encourage independent play. 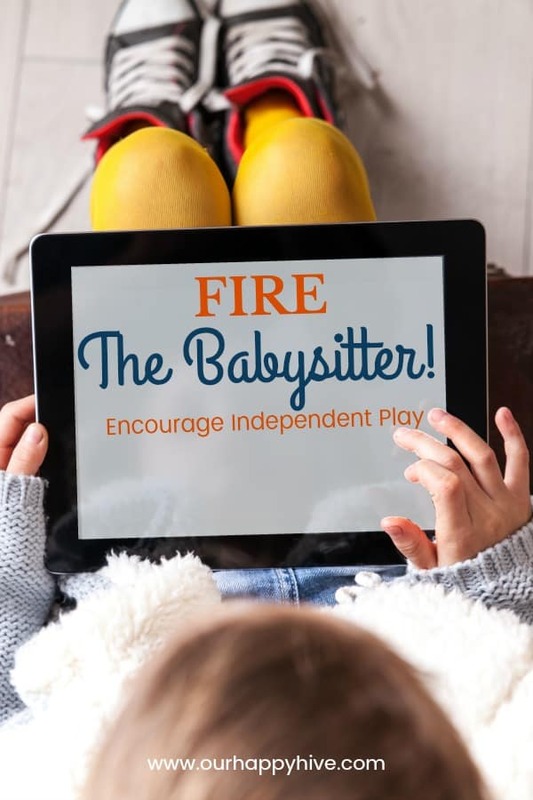 Having the right tools and a bag of tricks sets parents up for encouraging independent play with their toddler / preschooler and not relying on Tanya Tablet, Sister Siri, or Irene Ipad as a babysitter. LOL. My son loves his Saturday morning sitter because she has all her attention on him! Oh my gosh! This. is. the. best! 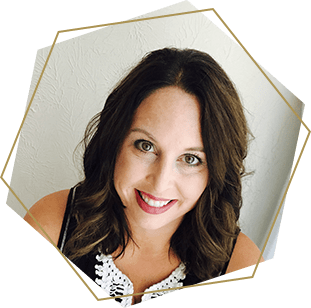 As a former nanny, when I first started reading it my heart got all sad thinking about the time when kids grow up and the nanny is no longer needed all the time. Then I got to the “dear, iPad” and I laughed out loud! Especially since, even a nanny turns on the iPad from time to time. Hysterical! And glad you are taking a break! I need a break from mine actually lol. It’s so hard!! We just cut the invisible cord to the iPad this week. It has gone better than I was expecting, but it’s definitely not easy! I like how you presented your views through a letter … growing up we didn’t have all these tools. I wonder how it would have been if we did … but I agree with you … one requires life skills which an ipad can’t teach. It must be so easy to use an iPad to entertain, especially if you’re busy! Good luck going digital free! Wow! This really hit me and made me think about how much time my kids spend on screen time. I’m looking forward to reading your tips on encouraging independent play!! I take an hour to and hour and a half to turn off all screens in the house and play with my children! It’s so important to develop their imaginations through “old-fashioned” playtime! Developing the independent thinker! What a great idea! I love how you presented this. I can relate so much! Great read. I loved this! I really thought we were talking about a babysitter till I got to the i pad part. This is so true though. I didn’t let my kids use the i pad till they were about 5-6 and was just thinking the other day how crazy it is that they are so attached. I have education stuff loaded for them, but they still sit forever on them. I need to do this too. Great article. Using the imagination is key in kids to develop. I feel like we have lost a little of that nowadays. Such a sweet post! Keep up the good work. So many parents are unaware of the potential problems with too much technology. I applaud you for making a change in your routine! Not all technology is bad but there is such a thing as age appropriate technology use. To be honest we could all put the screen down a little more. i have a similar post on my blog abt technology. technology is only ok if used in limits. it has too many side effects. I’m not a mom yet, but this is something I would really want to keep in mind! I want my child to grow up as an independent and confident person. Yes! I am a huge fan of limiting screen time with kiddos. We do arts/crafts, puzzles, games etc at home instead. 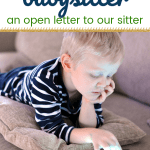 I think limiting screen time is so important! We use it in moderation, especially during the long winter months.